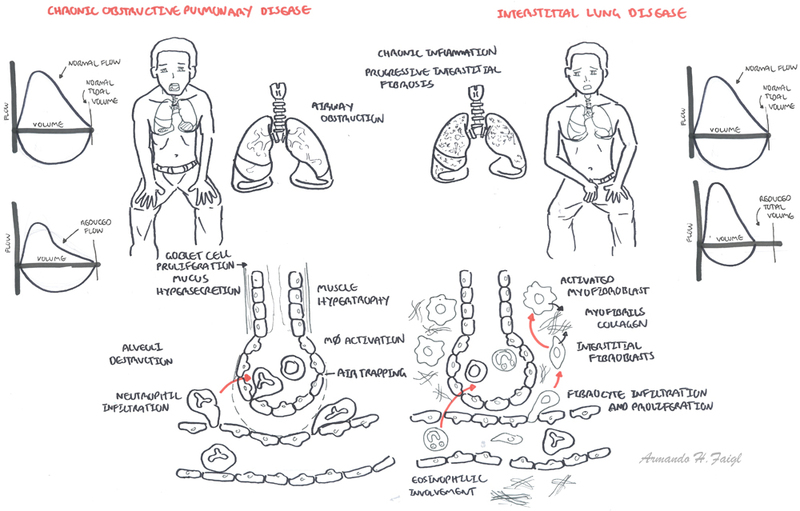 Overview Interstitial Lung Disease is also known as Diffuse Parenchymal Lung Disease (DPLD). 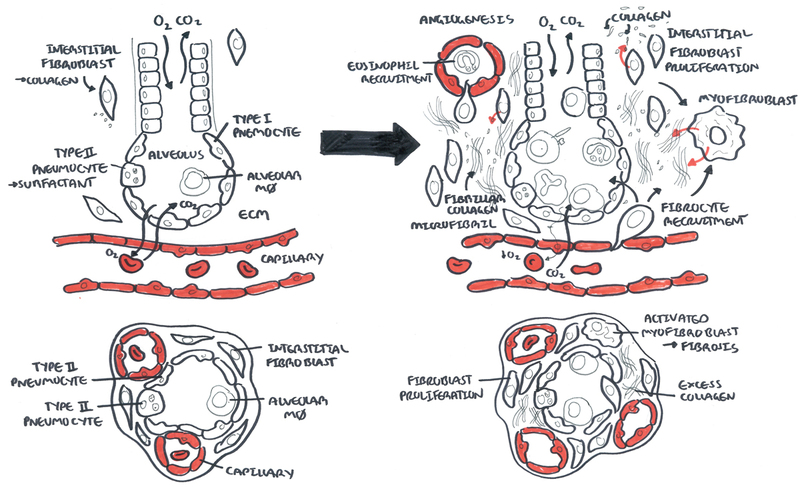 A Heterogeneous collection of restrictive lung conditions (>100) that primarily (or at least initially) disrupt the pulmonary interstitium. 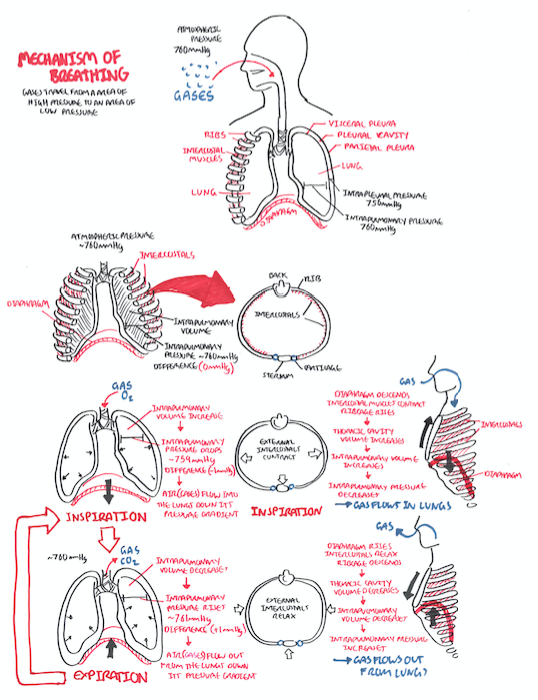 Interstitial Lung Disease (ILD) are grouped together as they share similar pathophysiological mechanisms, clinical features and radiological findings. 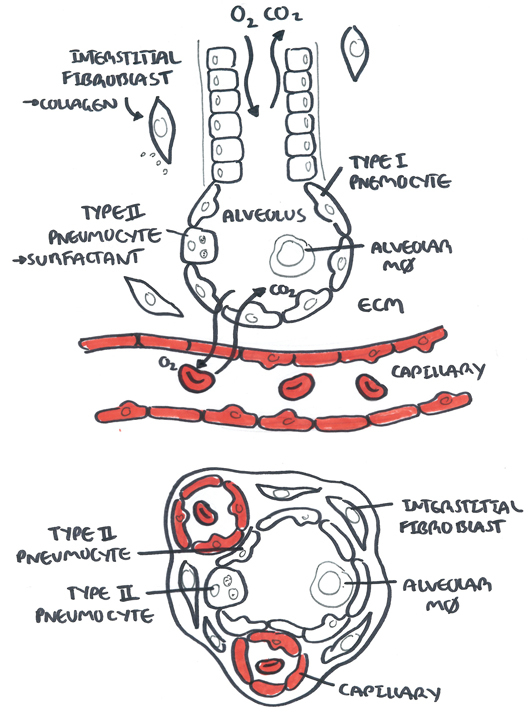 Side note Pulmonary Interstitium: Intervening structural tissue between the alveoli space and pulmonary capillaries. Consists of the basement membrane of endothelial and epithelial cells, collagen fibres, elastic tissue, proteoglycans, fibroblasts, mast cells and mononuclear cells. Connective tissue disease associated ILD This includes scleroderma, systemic lupus erythematosus, rheumatoid arthritis, dermatopolymyositis and mixed connective tissue disease. Immune-mediated inflammation of the lung interstitium can occur, sometimes progressing to irreversible fibrosis if it is left untreated. Age: There is significant variation in the age of onset between different ILDs. Gender: There is significant variation in the gender distribution of different ILDs. 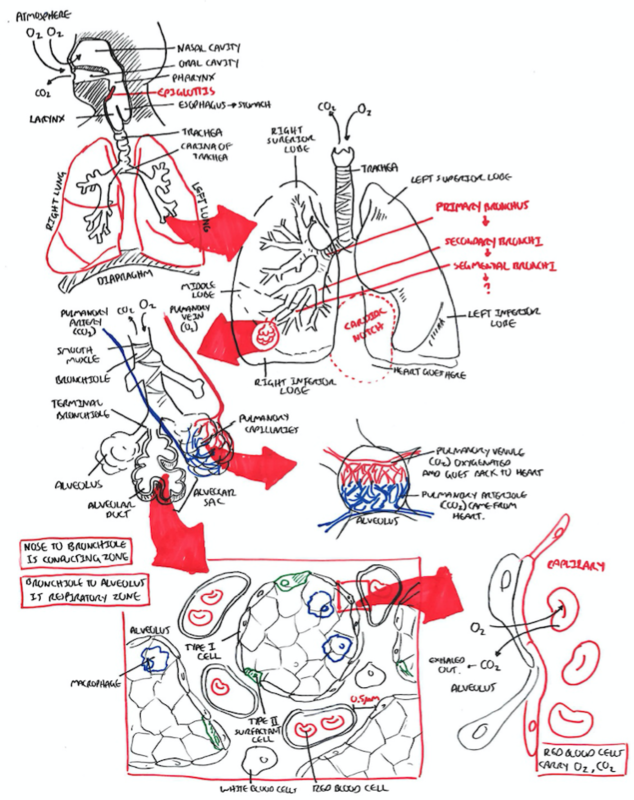 Extrapulmonary Manifestations: May be suggestive of connective tissue disease. Side Note Onset of Symptoms: The duration of symptoms prior to presentation differs between ILDs and therefore may assist in narrowing down the diagnosis. Remember ECG Should be performed in all suspected cases of ILD to look for evidence of pulmonary hypertension.